While muscle trauma hamstrings are common, their high strength (or proximal) is a rare disease , little known and whose diagnosis is not always immediate. We distinguish acute ruptures chronic ruptures as the time elapsed between trauma and surgical repair. 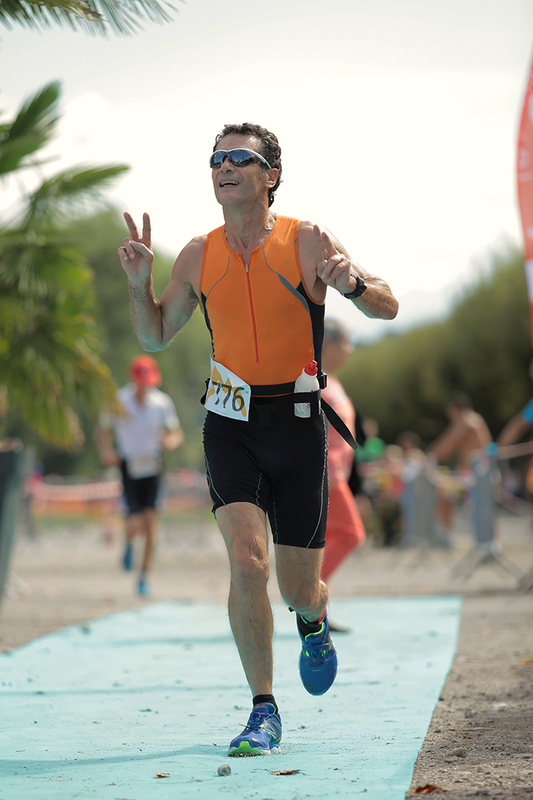 Klingele  has set the limit at four weeks, at which time the surgery was becoming more difficult due to the formation of a beginning of fibrosis around the sciatic nerve. It is especially important to analyze these two groups separately as functional results seem better  if surgical repair is before 4 weeks of evolution. Since this is a rare condition, the series published in international journals have a limited number of patients: 8 (Brucker , USA in 2005), 11 (Klingele , USA in 2002), 23 ( Birmingham , USA in 2011), 25 (Sallay , USA in 2008), 26 (Folsom,  USA in 2008), 41 (Sarimo , Finland in 2008) and 72 (Wood [ 14], Australia, 2008). The only French series published to date is that of Lefevre et al in 2007 . From January 2002 to July 2011, 75 patients were in our clinic for surgical repair of a fracture proximal hamstring tendons. 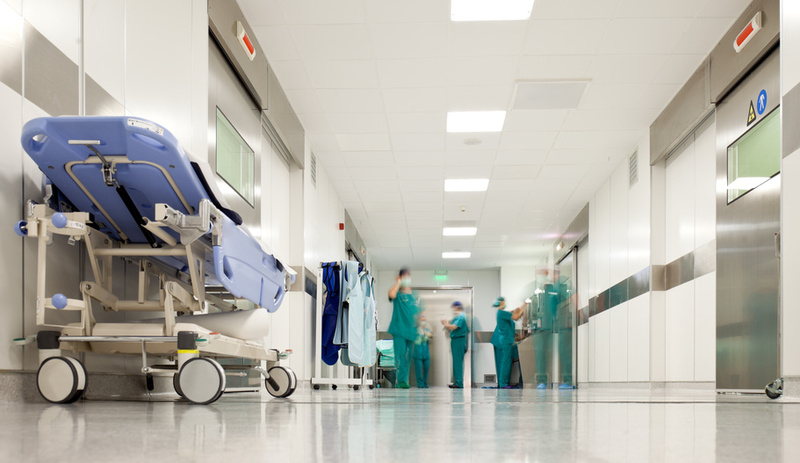 This article presents the results of patients operated for acute rupture. A prospective single-center observational study was conducted from January 2002 to July 2011. 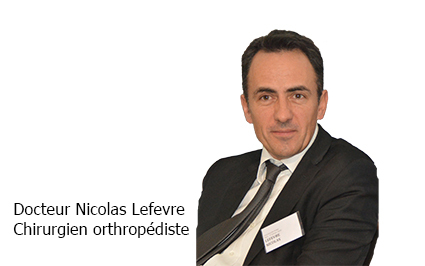 The study obtained the approval of the Patient Protection Committee as non-interventional qu'étude. The diagnosis of proximal hamstring rupture was suggested clinically before the onset after the trauma of a violent pain in the buttock sometimes syncope, often associated with a crack, followed by leg weakness and a possible support, training a subsequent hematoma(F ig 2) and, on palpation, vacuum the ischial tuberosity. The break was later confirmed by an MRI performed in emergency. The surgical technique (Journal of Orthopaedic Surgery and Traumatology) was the same for all patients.Under general anesthesia or spinal anesthesia, the patient was installed in the prone position, the hip slightly flexed 20 ° to support the knee in flexion of 90 ° on a knee bar fig 3. A short vertical incision of 6 to 8 cm was conducted under the gluteal fold and plumb with the ischial tuberosity fig4. After opening the superficial fascia, ruptured tendons were retracted and easily identified with, in depth, the sciatic nerve was then spotted neurolysis. Transosseous the rehabilitation of tendons was performed with nonabsorbable son and anchors either metal or absorbable. Fig 5 For the latter, the ancillary device used was specific with a cannulated drill guide for drilling the ischium without risk of injury to the sciatic nerve. The rehabilitation protocol consisted of three phases with different objectives: the healing, the resumption of daily activities and the resumption of sporting activities. During the first week, the knee was immobilized with a simple splint in flexion to 30 ° to avoid tension on the suture. The support was partial with two crutches. The next six weeks, the splint was replaced by an articulated toggle joint, permitting free knee flexion but a limited extension at 30 °. A gentle and progressive functional rehabilitation was started by an isometric work the quadriceps and hamstrings, knee flexed to 45 °. The full support and seating position were allowed in the absence of pain. 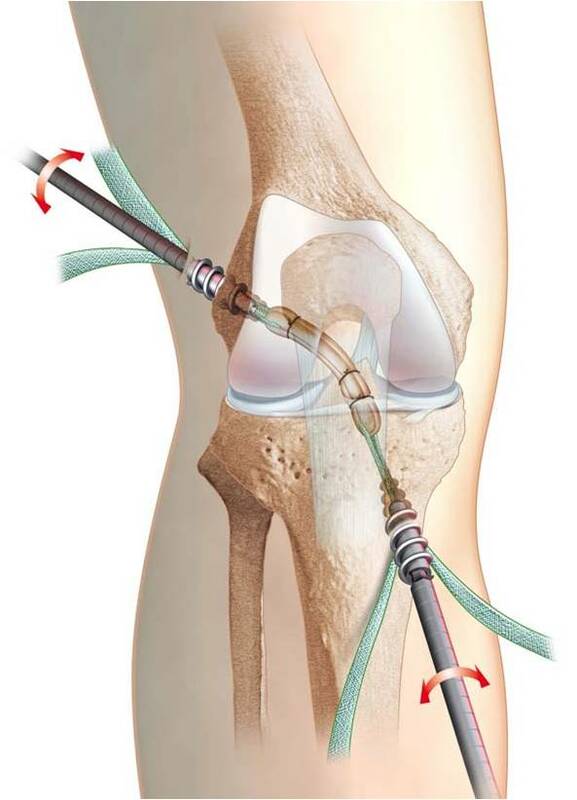 At the 6thweek, the knee was totally released with full support without canes. The active rehabilitation included a dynamic work the hamstrings and quadriceps muscle work in closed chain-type stepper. The patient could resume cycling with low resistance and a rapid cadence (80 rotations / min). During this phase, the therapy was started. Between 12 and 16 weeks, the patient resumed brisk walking and possibly a light jog. The muscle strengthening hamstring isokinetic was continued, first by concentric and eccentric. Between the 16th and the 32nd week the resumption of regular sports activity was allowed. Postoperatively, patients were clinically evaluated at 6 weeks, 3 months, 6 months, 1 year and then every 3 years. An MRI control and isokinetic tests were performed at a minimum decline of 6 months. The primary endpoint was the resumption of the sport. The secondary endpoints were the sports recovery time, the level of recovery, the duration of the work stoppage, the healing of tendons MRI monitoring, the report Jambier Hamstring / Quadriceps on the isokinetic tests at last follow, the presence of residual pain and / or sciatica nerve block and a satisfaction questionnaire (very satisfied, satisfied, fairly satisfied, disappointed). During this period, 34 patients were operated in the service for a total or partial rupture of acute proximal hamstring. The series had 9 women and 25 men, mean age 39.3 years (18 to 60). Two patients did not practice any sport, three were professional athletes, 12 were practicing competitive sport and recreational sport a 17. The traumatic mechanism was identical combining acute hyperflexion of the hip hyperextension of the knee with a violent eccentric contraction of the hamstring muscles. No direct trauma to the ischial tuberosity were reported. The break had occurred during a sports activity in 29 patients (85.3%) and following a domestic accident (slip) in 5 patients (14.7%). The movement was responsible for the injury forced the big difference (rugby, fencing, running and sliding), a large acceleration (rugby, skeleton, water skiing) or shoot into space (football).fig 6 All patients were referred directly to the service. 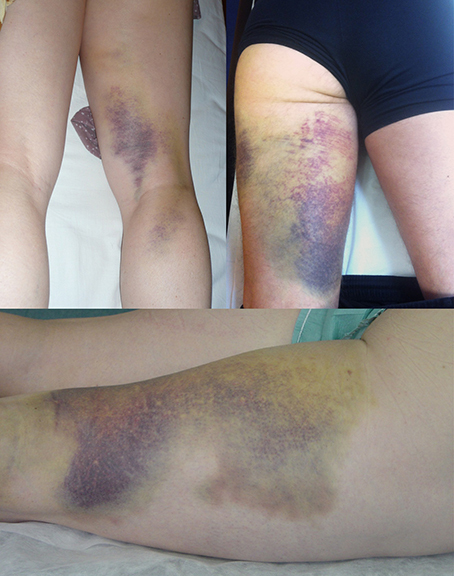 The patients had various clinical signs of rupture of the hamstring (Table 1). The MRI was performed in an average 5.9 days (1 to 15) and confirmed the diagnosis of rupture in all cases. The patients were treated surgically within an average of 13.6 days (range 5-30), usually under spinal anesthesia (80%). The tendon rupture was complete in 23 patients, partial for two tendons (biceps and semitendinosus) in 7 patients and one tendon (the semimembranosus) in 4 patients.Fig 7 The average number of anchors used was 3.4 (2 to 4) metal in 12 patients operated on before December 2007 and absorbable in 22 patients operated on after that date. Postoperatively, one patient had a large hematoma that required drainage in emergency evacuation. The MRI scan was actually performed in 19 (55.9%) patients at a mean of 15.8 months (range 6.2 to 86.2) and isokinetic tests in 17 (50%) patients with mean follow-up of 10.9 months (range 6.2 to 26.3). 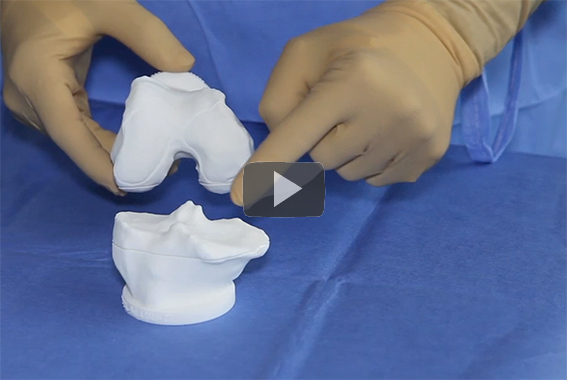 No iterative rupture occurred during follow-up. The average follow-up was 27.2 months (6 to 85.7) without any lost. All sports patients (32/34) resumed their activities within an average of 5.7 months (2.3 to 9.3), the same level for 27 patients (79.4%) and at a lower level for 7 patients (20.6%). Of the 15 athletes that had the series, 12 (80%) returned the sport at the same level. The duration of the work stoppage was an average of 3.2 months (1.2 to 8.1). At a minimum decline of 6 months, the control MRI showed a healing hamstring tendons in all patients. Isokinetic tests have shown that the strength of the hamstrings averaged 100.8% (from 83 to 125%) compared to the contralateral limb to 240 ° per second. The average ratio hamstring / quadriceps was 54.7% (41 to 74%) to 240 ° per second. At last follow, 3 (8.8%) patients had mild pain or discomfort during prolonged sitting. One patient developed a hamstring tendinopathy following the migration of a metal anchor and for which he received a combing a decline of 71.5 months. No cases of sciatica nerve trunk was found. Twenty-six (76.5%) patients were very satisfied, 4 (11.75%) satisfied, 4 (11.75%) moderately satisfied and none were disappointed by the response. In this study, surgical repair of acute fractures proximal hamstring allowed all patients to resume sports activities at the same level for most of them. The patients were very satisfied or satisfied large majority. All patients resumed their sports activities at a mean of 5.7 months, 79% at the same level, which is comparable to what has already been published. Sallay  showed that after a single conservative treatment 58% of patients took up the sport. If surgical treatment, this rate varies between 76%  and 87%  in an average of 5 to 6 months. Athletes have taken the sport at the same level in 80% of cases. This rate was 74% in the series of Sarimo  and 87% for patients Lempainen . Patients were very satisfied to satisfied in 88.2% of cases which is also comparable to the literature. The series published by Lefevre et al in 2007  showed that last drop, all patients were satisfied. They had no pain or muscle weakness. Only one patient complained of discomfort in the ischium in prolonged sitting on hard surface. They had resumed their sports activities at the same level to the fifth postoperative month (4.2 to 7.3). Isokinetic tests showed that the Hamstring / Quadriceps ratio was 54.7% (41 to 74%) in average. Brucker  found an average ratio of 55% (from 44% to 66%). Normal values ? ?vary between 55 and 70%. In this series, there were no cases of recurrent tears and at last follow no patient had sciatic or disabling pain. These complications are most often observed in chronic rupture [7.17]. In the study of Sarimo , an iterative rupture covered five patients (12.2%) including a series of acute and chronic ruptures. The study also shows that this condition does not occur during a sporting activity, five patients with ruptured hamstring after a domestic accident slip types. Rugby was the most frequently offending sport. For Wood , he was waterskiing but this is probably due to a selection bias. The main strengths of this study were first its prospective nature with which we have no lost. Most published studies were retrospective with a number of important lost sight of. On the other hand, our study analyzed only acute ruptures and this is one of the largest series. Surgical repair breaks acute proximal hamstring has significantly improved the functional outcome of patients but it remains a serious disease that can jeopardize their sporting future. It must be diagnosed and repaired as soon as possible by a broken team this technique to avoid loss of therapeutic opportunity. Koulouris G ,.. D Connell Evaluation of the hamstring muscle complex Following acute injury . Skeletal Radiol 2003; 32 (10): 582-9. Sallay PI, Friedman RL, Coogan PG, et al. .. Hamstring muscle injuries Among water skiers Functional outcome and Prevention Am J Sports Med 1996; 24: 130-136. Chakravarthy J, Ramisetty N , Pimpalnerkar A , Mohtadi N. Surgical repair of proximal hamstring ruptures tendon Complete in water skiers and bull riders: a report of four cases and review of the literature. Br J Sports Med. 2005; 39 (8): 569-572. Cross MJ ,Vandersluis R, Wood D , Banff M . Surgical repair of chronic hamstring tendon rupture full in the adult patient.Am J Sports Med 1998; 26 (6):. 785-788. A Kirkland , Garrison JC , Singleton SB, Rodrigo J , Boettner F , Stuckey S .Surgical and therapeutic management of a full proximal hamstring avulsion after-failed conservative approach. J Orthop Sports Phys Ther. 2008; 38 (12): 754-760. Lempainen L, Sarimo J Heikkila J, Mattila K, Orava S. Surgical treatment of partial tears of the proximal origin of the hamstring muscles Br J Sports Med 2006; 40:. 688-691. JD Harris, Griesser MJ , Best TM , Ellis TJ. . Treatment of proximal hamstring ruptures: a systematic review Int J Sports Med. 2011; 32 (7): 490-5. 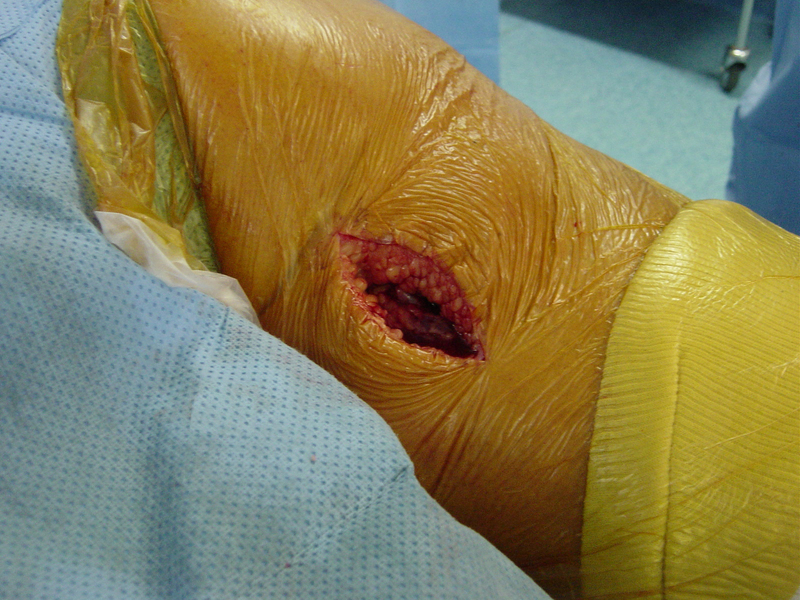 Klingele KE, Sallay.. PI Surgical Repair of Complete Proximal Hamstring Tendon Rupture Am J Sports Med 2002; 30:. 742-747. Brucker PU , Imhoff AB . Functional assessment after-acute and chronic Complete ruptures of the proximal hamstring tendons.. Knee Surg Sports Traumatol Arthrosc 2005; 13 (5): 411-418. Birmingham P , Muller M, Wickiewicz T , Cavanaugh J , Rodeo S ,Warren R . Functional outcome after-repair of proximal hamstring avulsion. J Bone Joint Surg Am. 2011; 93 (19): 1819-1826. Sallay PI, Ballard G , Hamersly S , Schrader M .Subjective and functional outcomes Following surgical repair of Complete ruptures of the proximal hamstring complex. Orthopedics. 2008; 31 (11): 1092. Folsom GJ , Larson CM. 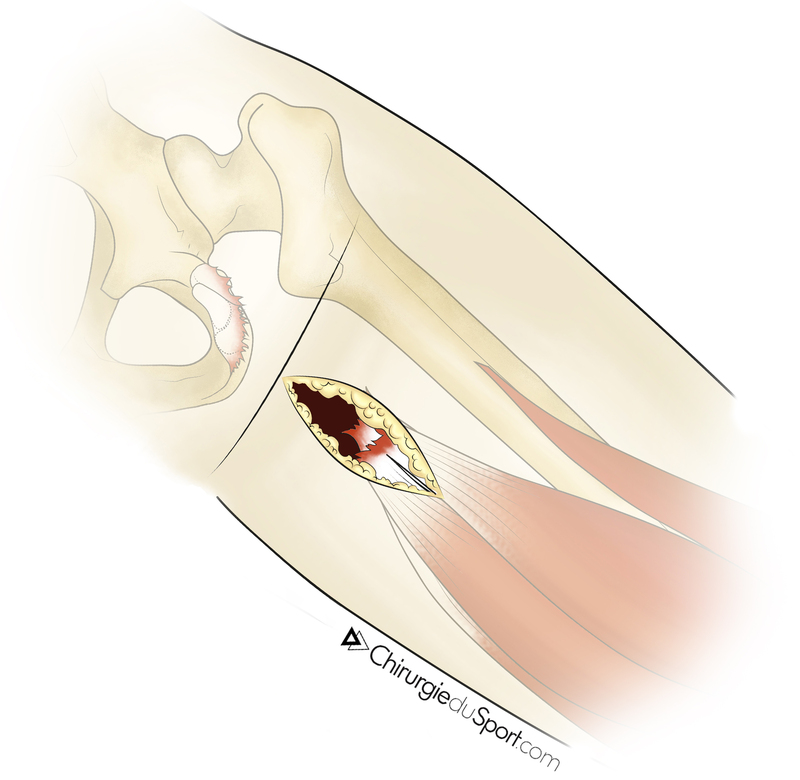 Surgical treatment of acute versus chronic proximal hamstring ruptures full: results of a new technology for chronic allograft reconstructions. Am J Sports Med. 2008; 36 (1): 104-109. Sarimo J, Lempainen L , Mattila K , Orava S .Complete proximal hamstring avulsion: a series of 41 patients with operative treatment. Am J Sports Med. 2008; 36 (6): 1110-1115. Wood DG ,Packham I Trikha SP , Linklater J . Avulsion of the proximal hamstring origin.. J Bone Joint Surg Am 2008; 90 (11): 2365-2374. N Lefevre, JF Naoury, D Vincent, Ribette P, S Herman. 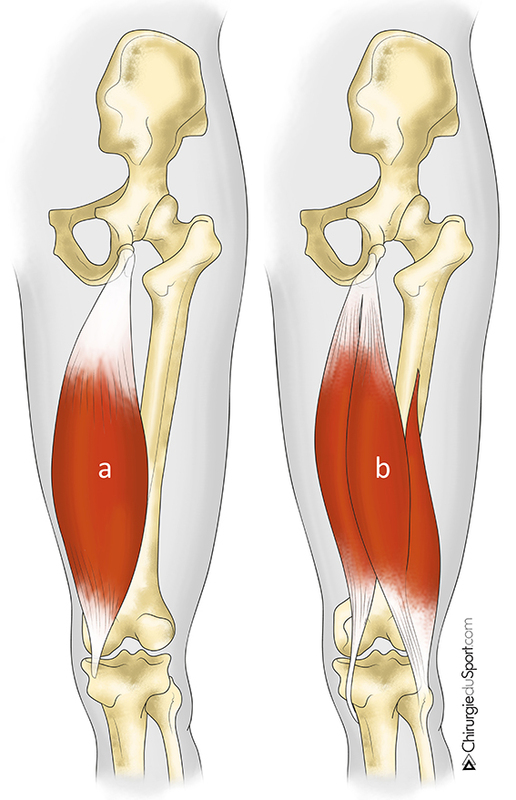 High Rupture hamstring tendon in athletes. About a nine operated cases. Journal of Sports Traumatology 24 (2007) 143-147. C Carmody , Prietto C . Entrapment of the sciatic nerve as a late sequela of injury to the hamstring muscles. A case report.. J Bone Joint Surg Am 1995; 77 (7): 1100-1102. 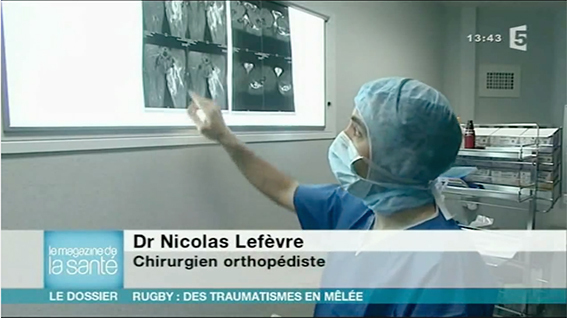 Doctor Nicolas LEFEVRE, Doctor Yoann BOHU, Doctor Shahnaz KLOUCHE , Doctor Serge HERMAN. - 18 septembre 2015.